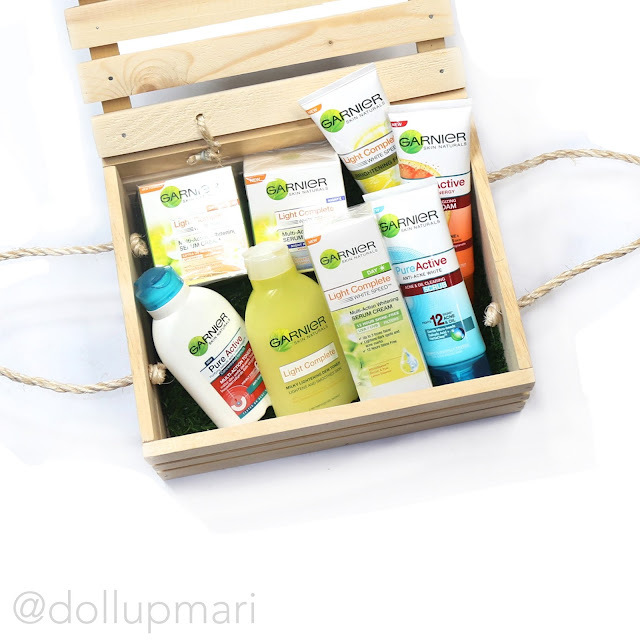 Thank you Garnier for all the goodies!!! 2017 looks bright even just from February's standpoint coz I'm excited to try and review all these items. I didn't grow up with Garnier as a teen, and thus far I haven't really had the opportunity to explore the brand. 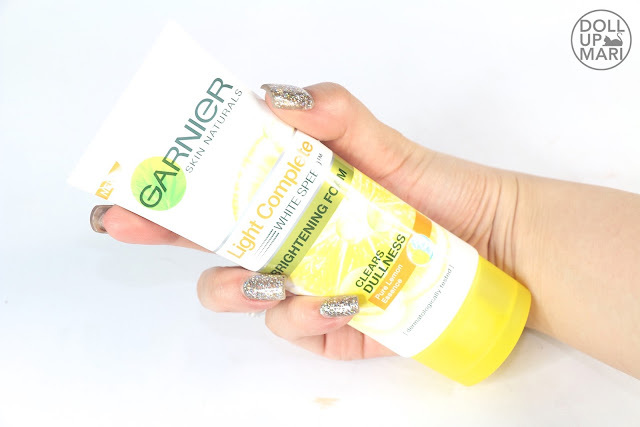 But of course, given the immense acclaim Garnier's products have garnered (see what I did derrr) throughout generations, there really just must be something special about the brand. I was overwhelmed by this gift pack sent by the team because I don't remember being asked about this beforehand. Like I agreed to receiving a micellar water gift pack, but not this one. But I ain't complaining? Who has the right to complain with this kind of loot in sight? Ain't nobody got time fo dat!!! I got their Garnier Light Complete White Speed cream. This is quite popular among a lot of girls my age so I hope I like it, too. 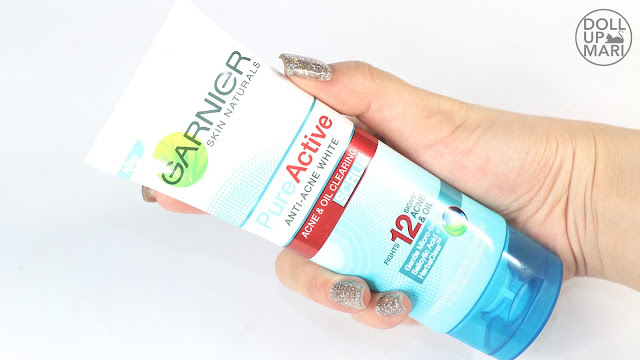 I also received their Pure Active toner and I love this. This is just so strong and intense. It smells sooo strongly of astringent and it reaaally packs a punch. I hear the "Be A Man" song from Mulan playing in my head whenever I use this. I actually made the biggest mistake of my life by swiping this over my eyelids because the thing stung like crazy. But well that just sort of gave me the indication that this is crazy serious with oil control. 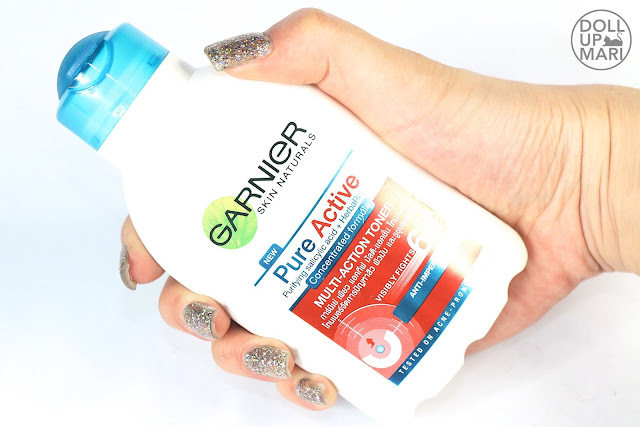 I use this right after facial wash right now, right before a pH balancing toner, and I love how this makes my skin feel fresh and cool. I think it also helps in general to get rid of the excess oil so that when I do have my skincare piled on, the feeling is not heavy or gunky. I checked the dictionary and astringent is "a substance that causes the contraction of body tissues" while toner means "an astringent liquid applied to the skin to reduce oiliness". So going back, what I mean to say is that plenty of toners here are primarily for oil removal alone and contain so much alcohol in the formulation. 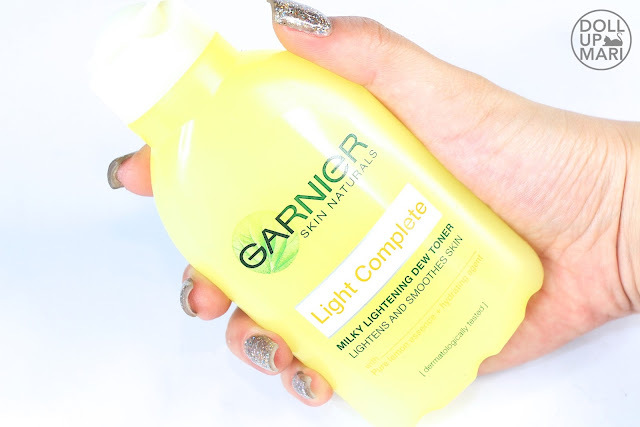 Recent years have seen the rise of the new pH balancing toner, which I think is better if termed as "skin conditioner" as with one of my pH balancing toners. Like the function is to adjust the pH of the skin and prepare it for absorbing all the skincare that's about to be applied. I feel like when a toner formula is too pore closing, it defeats the purpose and locks the skin from absorbing the skincare to be applied. 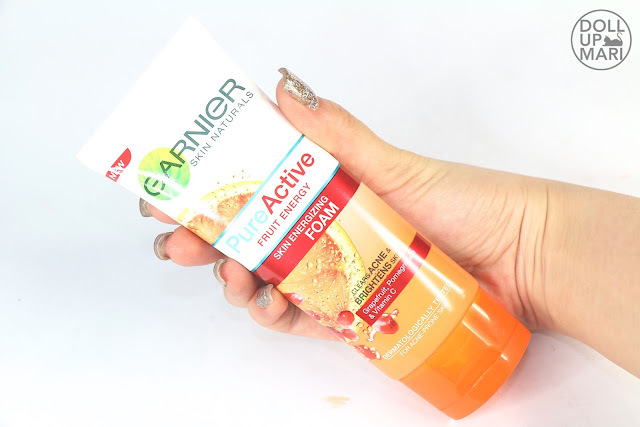 That's why I use the Active toner as a start to remove excess oil but re open my pores again using a pH balancing toner/ skin conditioner before proceeding to essence, emulsion, then cream. 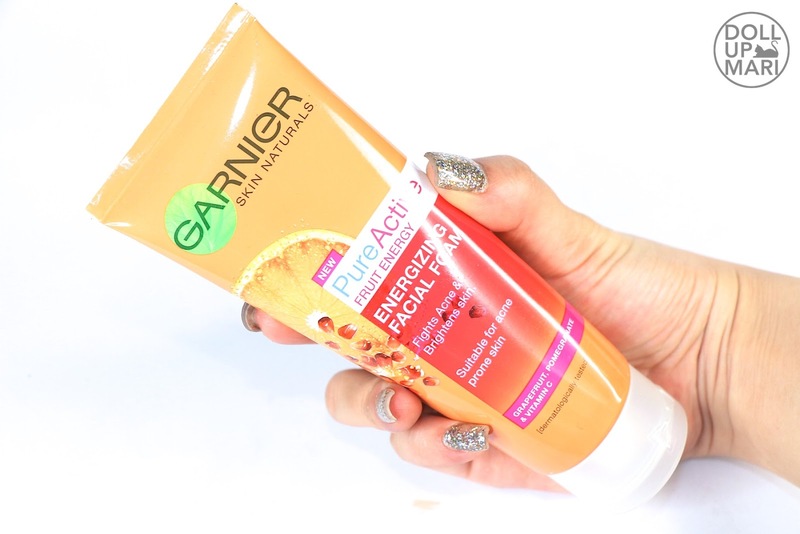 Before I continue I just wanna make a special mention of this PureActive facial wash I got as a gift for joining L'Oréal Brandstorm 2015. Brandstorm is one of the most labor intensive competitions in the whole world (if you advance up to the national finals and beyond), and by the time you get out of competition season, every single thing from your journey will mean so much to you. My teammates are now my best friends, and Lancôme now holds a special place in my heart. And the things like these, no matter how seemingly "mundane" (yeah it's just a facial wash), bring up so many fond memories of that time. This is old packaging so it looks different. Because the current one looks like this now. My apologies for the fading tube, I shot this late at night and wasn't able to account for that (the possibility of fading in the photo). I thought of re shooting but I thought since I'm so giddy I might as well post this whole post then just make up for this in the actual product reviews these items will be getting. I also got the other Pure Active facial wash yaaaay. And the Light Complete Brightening foam. I have yet to sniff all of these facial washes but I'm quite sure I'll like them. 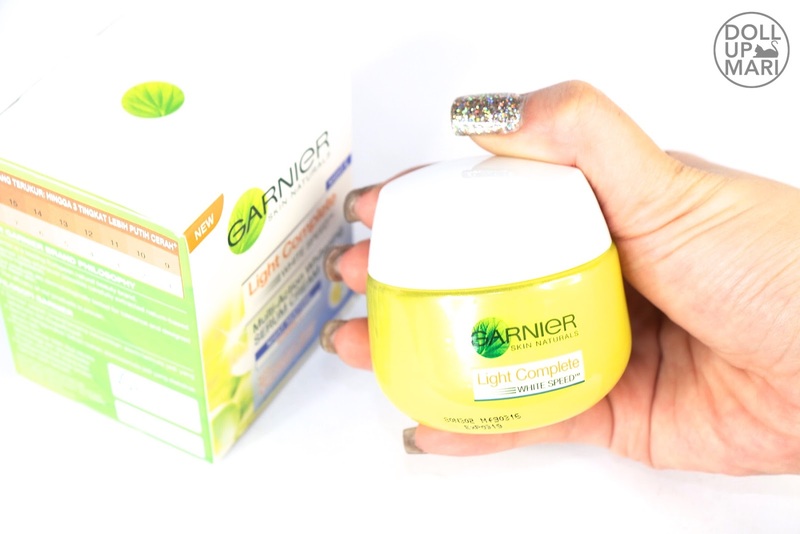 Of course to end any tiring day is a tub of Garnier's Light Complete night cream. I have never tried their creams so I have no idea how they're like. I hope they absorb well. 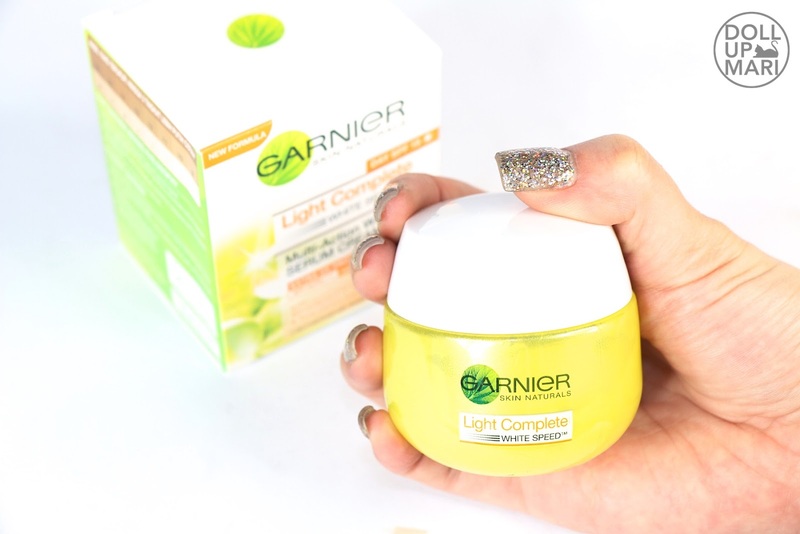 Last but not the least is Garnier Light Complete serum cream. 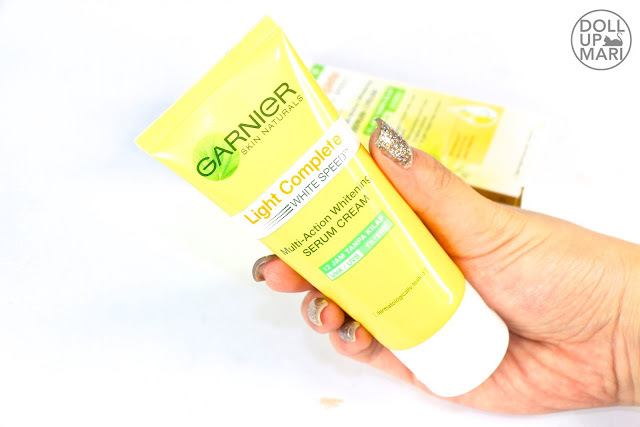 I have yet to reaally try this because the serum cream is quite confusing from the getgo. I don't know if this will function more as serum or essence, or more like cream or pack. We shall seeeee. So yaaay for now here you all go!!! Do look out for the reviews in the coming weeks and months! What Does A Maybelline Squad Girl Get?